MMID (Mobile Money Identifier) ​​- is a 7-digit number which enable you to transfer fund through IMPS. It used for IMPS fund transfer. Suppose you have to send money to a friend, then you just need his/her MMID and mobile number, after this you can send money through IMPS. In the same way if you are receiving money through IMPS, give your own MMID and mobile number to the person, the person will send money and you will get the money immediately to your account. 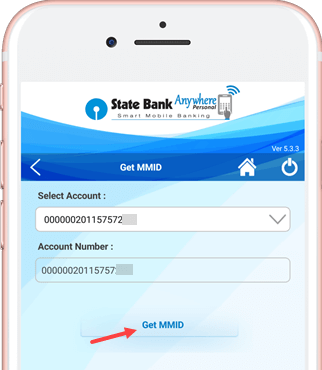 Today I am telling you how to generate or check MMID for SBI Account on SBI Anywhere (Personal) Application. 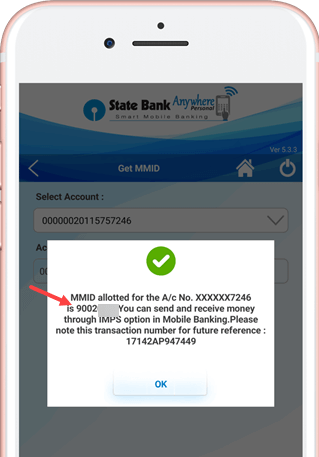 You can do all the banking work on the SBI Anywhere (personal) banking application. Whether you want to check account balance or send money to anyone, you can do all this work on SBI anywhere. 1 First of all you have to login on SBI Anywhere Mobile Application, type your netbanking user id & password to log in and tap on login. If you are first time logging in then you have complete phone validation. Read: How to login first time on SBI Anywhere? 2 After logging you need to tap on the Requests. 3 In the Requests you can see Get MMID option. Tap on it. 4 In the next screen you have to select your account number, and tap on Get MMID. Now you can see your MMID in popup box. You will also get the SMS. 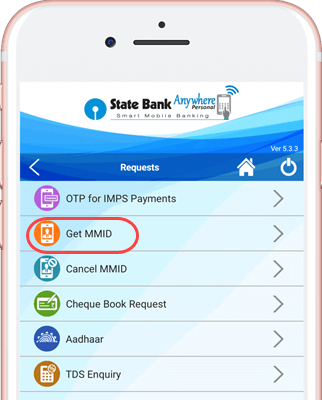 So in this way you can generate / check your SBI Account MMID on SBI Anywhere. If you forget, you can see it at any time. If you want to cancel your Mobile money identifier number, you can also do this by just tapping on Cancel mmid option.